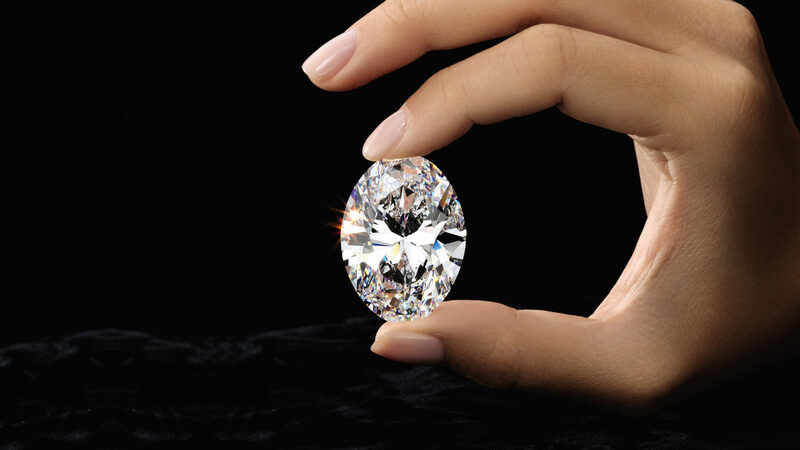 *Update: The stunning diamond was sold for HK$108 million to an unnamed private collector from Japan, who named the diamond ‘Manami Star’ after his eldest daughter. 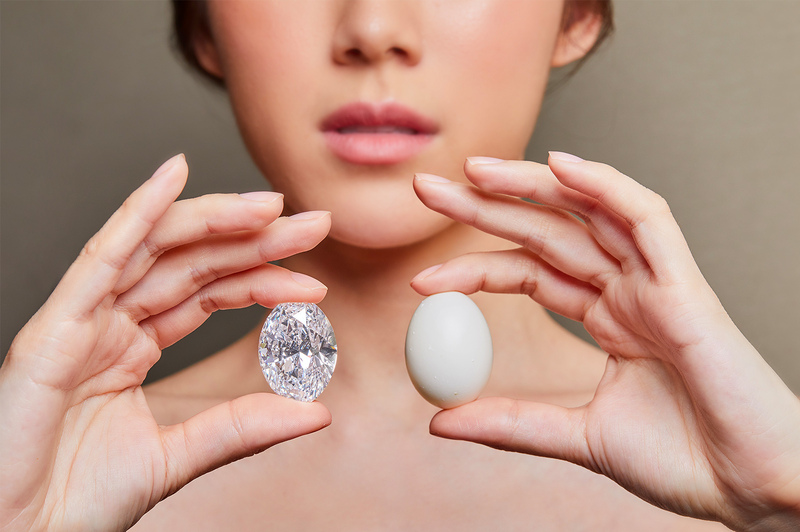 A selection of rare, colourful gems and diamonds of superior quality is set to descend upon our city this April, as Sotheby’s Hong Kong hosts their spring ‘Magnificent Jewels and Jadeite‘ sale at the Hong Kong Exhibition and Convention Centre next month. Though the auction is not kicking off until 2 April, jewellery lovers and gemstone enthusiasts are all welcome to take a closer look at these exceptional creations — from century-old royal jewels to iconic designs from grand jewellery houses and spectacular first-class diamonds — at an exhibition leading up to the sale starting from 29 March. Headlining this seasonal sale is a stunning 88.22-carat, D colour, Flawless, Type IIa, oval diamond, which is one of only three oval diamonds over 50 carats to have ever appeared in an auction in living memory. Be prepared to be bedazzled as you make your way to the showcase, because headlining this seasonal sale is a stunning 88.22-carat, D colour, Flawless, Type IIa, oval diamond (Lot 1801), which is one of only three oval diamonds over 50 carats to have ever appeared in an auction in living memory and, not to mention, the largest to go under the hammer in over five years. Estimated at HK$88–100 million, this spectacular stone was cut from a 242-carat rough stone discovered in a mine in Jwaneng, Botswana (co-owned by De Beers and the Botswana government) — one that is known to produce roughs of first-class quality. 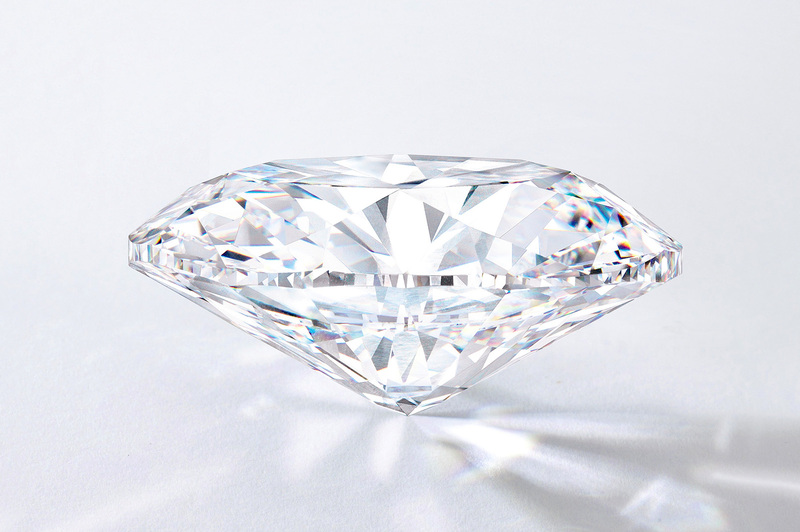 The resulting oval-shaped brilliant diamond does not only come with excellent polish and symmetry, it’s also deemed perfect according to every single critical criterion, ranking the highest under judging standards of colour, clarity and transparency. Not only does the spectacular stone feature excellent polish and symmetry, it is also deemed perfect according to every single critical criterion. A Panthère-themed ruby, diamond and onyx bangle by Cartier (Lot 1717) featuring a panther with articulated paws and a rotating head. In addition to the 88.22-carat diamond, Sotheby’s will also be celebrating iconic designs by legendary maisons including Cartier, Bulgari and Van Cleef & Arpels. 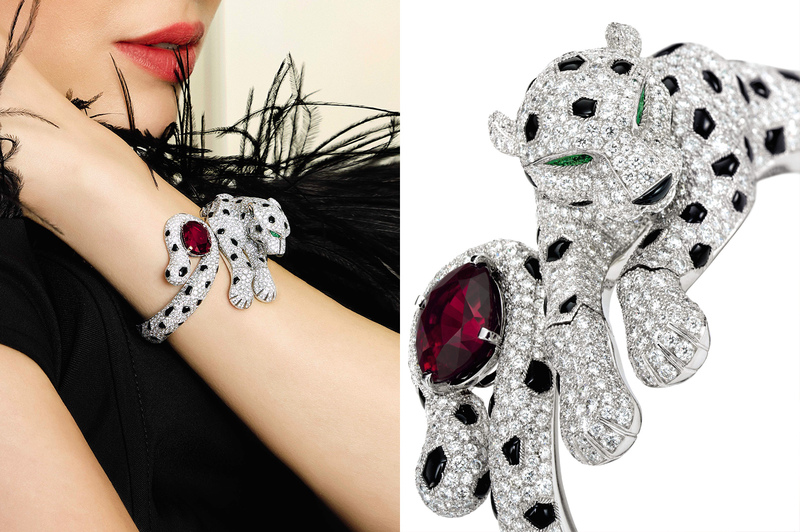 Leading the pack is a Panthère-themed ruby, diamond and onyx bangle by Cartier (Lot 1717, valued at around HK$8–9.6 million), which features a panther with articulated paws and a rotating head. The French jewellery and watch brand’s century-old affair with the feline started with an Art Deco jewelled wristwatch in 1914, and went on to become its signature motif and the ultimate expression of femininity. A rare emerald, ruby and diamond brooch circa 1750 (Lot 1797) once belonged to Spanish royalties. 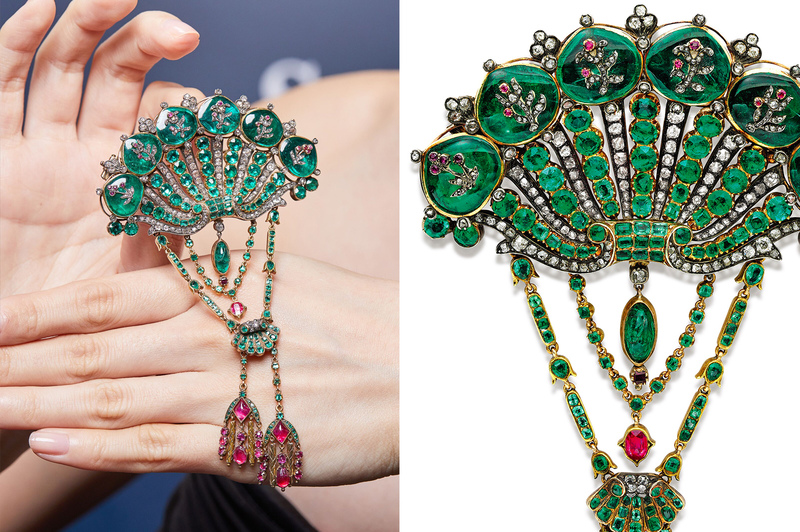 The Sotheby’s sale will also be a celebration of colours in nature, and one of the standout examples is a rare emerald, ruby and diamond brooch circa 1750 (Lot 1797, estimated at HK$2–3 million) that captivates in a mesmerising deep green hue, with an emblematic design that was treasured by the Spanish royalties it once belonged to. Another brooch, this one in a vibrant red, comes adorned with rubies and diamonds. Named as ‘Bellflowers’, the piece — designed and created by Van Cleefs & Arpels (Lot 1796) — is estimated at HK$3.2–4.8 million and features the patented Mystery Setting technique, invented and mastered by the historic brand. 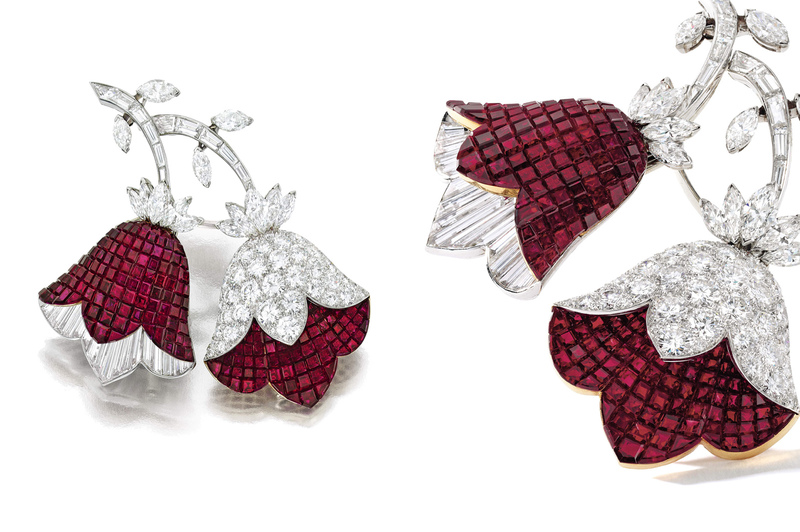 Van Cleef & Arpel’s ‘Bellflowers’ brooch (Lot 1796) embellished with rubies in the maison’s patented Mystery Set. Yet another beautiful bejewelled creation that is making a distinctive mark on the occasion is Bulgari’s iconic Serpenti bangle watch (Lot 1748). The enamel, ruby and diamond bangle watch — estimated between HK$1.2–1.6 million — features a coiled serpent with embellished eyes and mouth that opens to reveal a numbered dial signed by Vacheron Constantin and Bulgari. Head to Sotheby’s official website for details on the opening hours of the exhibition, or information on the rest of the auction pieces.